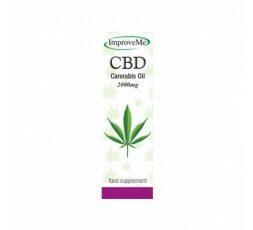 High Strength non-psychoactive Cannabis CBD Oil. Legal, tried and tested. New higher strength. CBD, short for cannabidiol, is yet another of the amazing nutrient compounds found in the hemp plant, Cannabis sativa. Hemp is a source of nutrients unlike any other with an oil containing all the families of essential fatty acids, a protein with all the amino acids humans require, and now CBD is set to join this list with its own amazing health promoting properties. The nutritional and health promoting value of Cannabis CBD Oil is almost unbelievable and is associated with being potentially beneficial in the treatment of many illnesses. 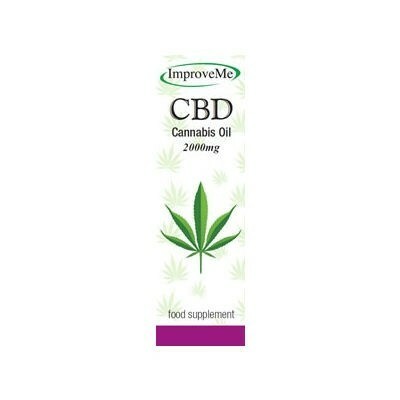 Improve Me's CBD is only derived from legal forms of the Cannabis/Hemp plant.